For a full list of our tours in Italy with dates and prices, please scroll down. Travelling in Italy is one long feast for the senses. The dramatic landscapes, the legendary profusion of art and archaeology, the beautiful architecture, the delicious food and award-winning wines all combine to create an experience that is second to none. 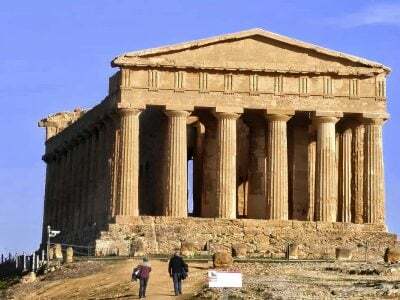 Our Italy experts have carefully crafted an ever-expanding series of Exploring tours that combine all of these elements and so much more, creating the most in-depth and comprehensive tours of the regions and cities of this fascinating country. We have discovered the best possible ways to visit the well-known archaeological and cultural sites; we have found the little-known jewels that bring the local history to vivid life; we have built long-lasting personal contacts with beautiful and impeccably well-run boutique hotels, atmospheric residences and grand rural estates for our overnight sojourns; we have hunted out the very best of the restaurants, bars and eateries on offer, be they traditional or innovative, long-standing or brand new. Italy is magical and unique. Join one of our Exploring tours and discover its wealth and beauty for yourself. Average rating 5 out of 5 from 372 reviews for Exploring Tours in Italy, according to AITO reviews. It was excellent. 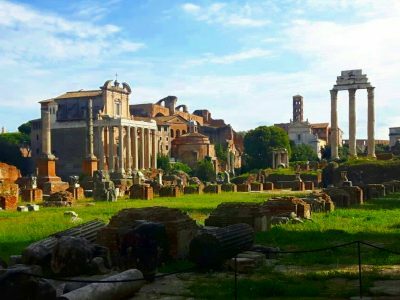 There is everything to praise Peter Sommer Travels for in offering this exploration of Rome. We had been to Rome decades ago and this was a perfect revisit. The hotel Voi Donna Camilla Savelli was just perfect. The knowledgeable guides and their ability to share their passion for history made the trip very special. The daily schedule was thoughtfully planned. The leader, Dr.Michael Metcalfe, was wonderful and very professional. The city guide, Valeria, was delightful. Paul, the ancient Roman history guide, was extraordinarily filled with knowledge and passion and good stories. I felt he saw Augustus walking in the Forum. The restaurants chosen were very nice. Our driver was excellent as well. 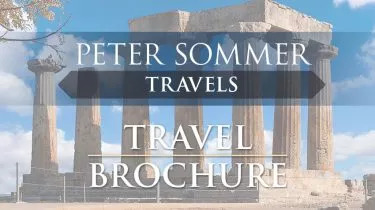 From the first time I contacted Peter Sommer Travels, it was a pleasurable experience. We feel they are the best travel operator we have ever used.